Hyosung Motors, Korean based major two-wheeler manufacturer, is all set to launch two new massive motorcycles Hyosung GT650R and ST7 in India by the end of this current calender year (2010). The company has recently collaborated with Garware Group that will handle all the marketing stuff across the country. All Hyosung Bikes will come in various categories under the segment of the country. According to some news reports, the Hyosung GT 650R is super sports bike, while Hyosung ST7 is an cruiser motorcycle. The new Hyosung ST7 comes loaded with 4 strokes, liquid cooled, 90 V Twin, 4 valves per cylinder and DOHC valve. The power plant of this bike can expect to generate awesome output power of 60 bhp and 63 Nm of top torque at 7500 rpm with its 678.2cc displacement. 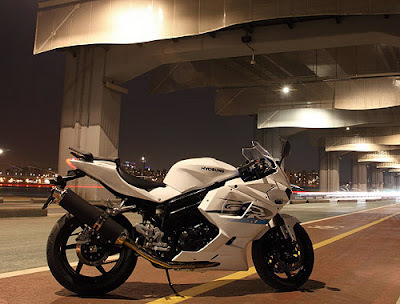 The price of Hyosung ST7 is believed to be tagged at around Rs. 6,50,000 (ex-showroom). The new bike has specially designed with advanced attributes to make it more comfy and classy. The Hyosung ST7 might be loaded with 5 speed manual transmission Gearbox along with Wet-Multi plate clutch. Behind of it, Hyosung GT 650R will also getting ready to be hits along with Hyosung ST7 in the Indian auto market. The new bike will attract new customers, who are planning to get next generation super sports bike in India. The new Hyosung GT 650R is loaded features with 650cc, 4-Stroke, V Twin, 2 cylinders, Liquid cooled DOHC machine which might be offered maximum power output of 54.2kw at 9000rpm while produces peak torque of 60.9 Nm /@ 7250rpm. As per officially reports, the price of new Hyosung GT 650R to be tagged at Rs. 500,000(ex-showroom). The aerodynamic graphics of the bike is sure to attract a large number of new customers providing a greater speed and also proves to be efficient enough. 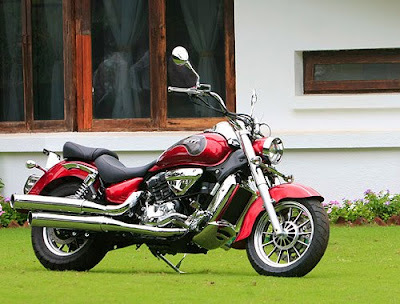 Both Hyosung bikes will take on with major super sports and cruiser bikes in the Indian auto market.